We are excited to return for the 5th year to Portola Valley (Corte Madera School) on July 27th-July 31st. The cost of the camp is $350 ($300 for 5 or more teammates from the same school). Along with the great running trails, curriculum,awesome speakers (that include former Olympians) and counselors, campers will also receive a pair of training shoes, camp shirt, notebook, daily pre/post run snacks and much more. 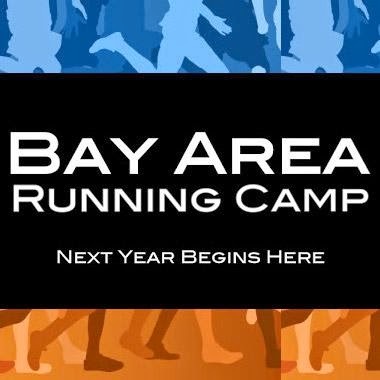 Any questions or interest in the team camp discount, email us at bayarearunningcamp@gmail.com. We have had a great group of runners in the first four years that include some of the top runners in CCS, NCS and SJS. We will have over a 100 runners so you will definitely be able to find a group that matches your speed. Novice and elite runners both will be accommodated. Our counselors are also some of the best runners in colleges here in the Bay Area. We will finish the camp with a panel of runners who will be able to answer all your questions about running beyond high school. If you are interested in taking your running to the next level, this is the camp for you. Any questions, please email us at the email address above. If you have attended the camp before and would like to chime in on what you enjoyed about the camp, please do so below anonymously. 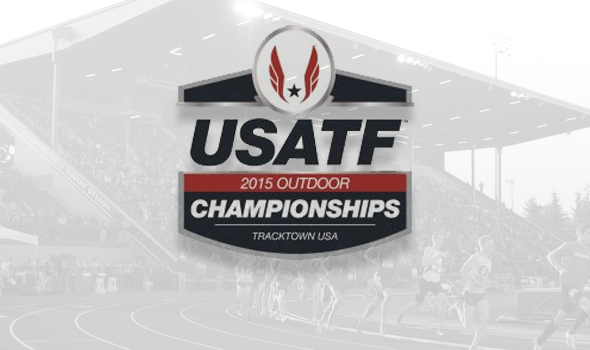 If you missed any or all of the events from this past week, you can find them archived at http://www.usatf.tv/. Although most of the distance races were tactical affairs, many ended up with fantastic finishes and lots of drama as to who made the world championship team. What was the best distance race? Sprint race? Best performance in any event? Biggest surprise? 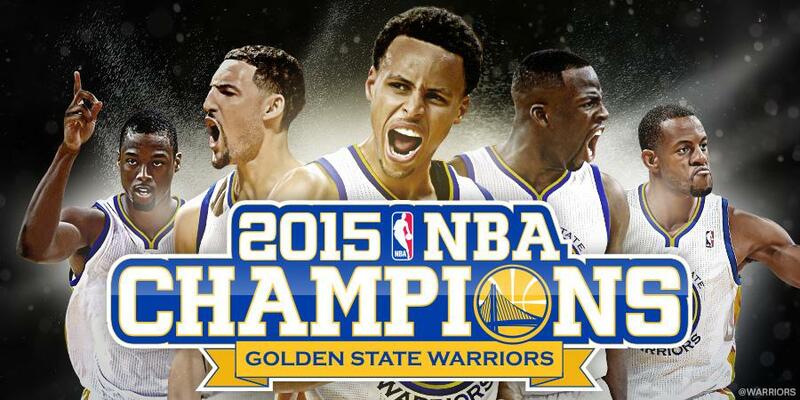 Biggest upset? Most dominating effort? The missing CBEDs will be added throughout the summer. If you have the links to those CBEDs, please email them to albertjcaruana@gmail.com and I will add those links. Fascinating reading as Alberto Salazar responds to the allegations by David Epstein (as well as former athletes and coaches) in the past month. Feel free to comment on the lists above. Who did I miss (perhaps honorable mentions)? Who should move up? Who are the state contenders in their division? Teams will be posted later this week. Now that the 2015 Track and Field season is practically complete, here are my awards for this past Track and Field season. Overview: Like many previous years, the 2014 cross country season saw the vaunted Campolindo machine tear through the season, capturing the programs 12th NCS title on the girls side and landing a 2nd place finish at the state meet, its 11th podium finish. While losing the core of last year’s team, the Cougars still return enough talented runners to make a lot of noise and capture its 3rd straight section title. However, Bishop O’Dowd, last year’s runner up, returns a strong contingent of girls, many of whom had mind blowing personal bests at the end of the track season, putting them in a great position to capture the team title. The two other teams who advanced to the state meet from last year; Las Lomas and Tamalpais both return the majority of their squads to put them in contention for state meet births as well. As usual, freshmen/transfers will make a big impact on the outcome of the season but for now these are how things stand. The Dragons are poised to fly even higher this season and look to improve on their runner up finish at last year’s meet as well as improve on their 4th place finish at the state meet. Grace Taylor spearheads the attack for O’Dowd with her times of 5:03 and 10:54 in the1600/3200 being the top marks posted by any individual in this division during track. Junior Jourdan Amen continued to be solid during track as well running 11:22 in the 3200. What really gives O’Dowd the advantage in the team race is the remarkable late season improvement by Linnea Gullikson and Madison Burke who both unleashed big personal bests in the 3200 at the Bay Shore meet, with both of them running identical times of 11:50 in that event. Right behind them is Emma Wawrzynek who clocked solid times of 5:36 and 12:04 in the 1600/3200 giving the dragons some fearsome depth. Rounding out the returners are veterans Kaelyn Shirley (5:36 1600) and Natalia Brusco (5:42/12:11 1600/3200). With the staggering depth coming back, Bishop O’Dowd is poised to end Campolindo’s steak and capture their first NCS title since 2004. However it will take a commitment to bringing up the younger members of the team to the rigors of competing at the varsity level and working on running together as a cohesive unit. While the Cougars only return 3 runners from last year’s NCS title team, an epic track season has once again planed “Chuck’s Army” in great position for the 2015 season. Leading the way is senior Hana Sun, who impressed this spring running 5:08 in the 1600 and 10:59 in the 3200 and should provide a much needed low stick in the team score. A trio of underclassmen also impressed during the spring as Jenna Miles 5:23/11:29, Bella Chao 5:37/12:15 and Hannah Ruane 5:17/11:13 give the Cougars some great depth. Veteran Emma Ishida continued her steady improvement curve as well, running 5:33 and 12:13 in the 1600/3200. The wild card yet again for Campo is senior Sarah Cella, who came alive during the closing stages of this past track season to run 2:14 in the 800, finishing 4th in the event at MOC. Considering she has been a varsity scorer for the team the past 2 seasons, the potential is there. While Bishop O’Dowd has fashioned a small lead in this division going into the season, Campolindo has the necessary tools to reel them in if they can focus on honing down the margin between their 4th-5th scoring positions. The Knights look to continue their recent string of time success and make it to the state meet for the 6th year in a row. Leading the charge yet again is defending section/state champion Chloe Hansel, who will give the knights a low stick in every race, a valuable asset in team competition. Veteran Sydney Polich impressed during the track season, breaking the 12:00 barrier in the 3200 and running 5:19 in the 1600 while Junior to be Elise Stankus also had a solid spring in running 5:29/12:20 for 1600/3200. In addition, twin sisters Emma (5:36/12:29) and Katie (5:38/11:59) Saenger both excelled during the track season in the 1600/3200 pointing to some great potential this upcoming fall. The biggest challenge for Las Lomas will be closing down the gap between Hansel and the rest of the scoring pack. If an effort can be made to work on bringing the 2-5 scoring back closer to the front of races it will pay huge dividends for the team score. However, at this point in time, Las Lomas has done enough to position themselves in the hunt for a berth to state and a medal position (top 3) at the NCS finals. Tam came on strong at the end of last cross country season to grab a 3rd place finish at the NCS meet and advance to the state meet for the first time since they have been in D3. The red tailed hawks continued that momentum this spring as frontrunner Lizzy Labeeuw-Anderson made it all the way to the NCS MOC finals in the 1600, running a personal best of 5:12 to put her in contention for a top 10 finish at the section meet this upcoming season. Junior Kate Miekley will look to improve upon her 13th place finish at last year’s NCS meet, with her 5:21 clocking in the 1600 this spring pointing to good things in the future. Behind those two are the tandem of Meghan Tanel and Olivia Phillips who put up respectable 1600 times of 5:35 and 5:30 to help bolster the ever important pack margin. The big wild card appears to be Megan Bartschat, who impressed this spring in running 11:39 in the 3200, a performance which indicates that big things are in store for her after some more consistent training this summer. As it stands now Tam is just a few steps behind Las Lomas and with a great summer of training could move up considerably. 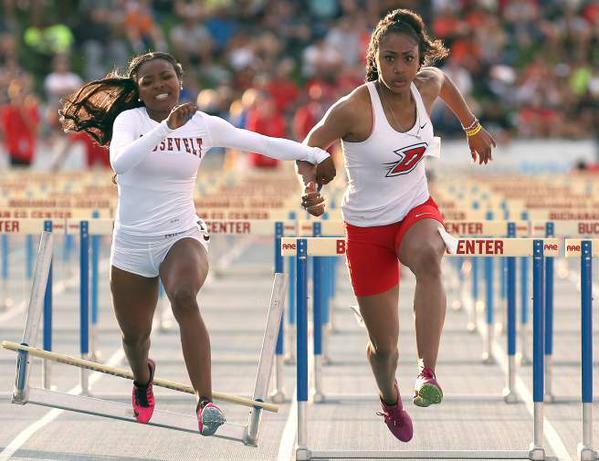 Today we catch up with Great Oak junior, Destiny Collins who last weekend recorded one of the most impressive doubles in high school history. Collins finished in 3rd place in the 1600 running 4:41.30 in a race she led for most of the way only to be passed in the last 50 meters. She doubled back to the 3200 against a fresh field and rolled to new lifetime best time of 9:53.79. Her previous PR was accomplished the week before at the SS Masters meet (10:11.64). You can also check out another interview with her thanks to Johanna Gretschel and milesplit.com at this LINK. 1) How did you get your start in running? How old were you? What was the first success that you remember and made you excited to be a runner? I started running my freshman year, so I was 14 years old. I of course had to run in middle school but that was only when they required us to the run the mile, etc. to stay in shape but nothing serious. My first success that made me excited to be a runner was my second cross country race ever. It was the Woodbridge Classic and Coach Soles put me in the Rated Race which is right under the best race being Sweepstakes and I finished in 10th place running 17:41 for 3 miles. I finished 2nd for that team of 7 but overall for my whole team out of all the races (Sweepstakes, Rated, Varsity A&B, etc) I finished 6th which was huge because I didn't know if I would be good at this sport. Once I saw that I was Top 7 material, that made me really excited for the rest of the season. 2) Tell us about your freshmen season in Cross Country and Track and Field? Highlights? My freshman year went pretty well in cross country but even better in track. In cross, I ended up being Top 7 all the way until League Finals. I had the chance to run on the line when we won Mt. 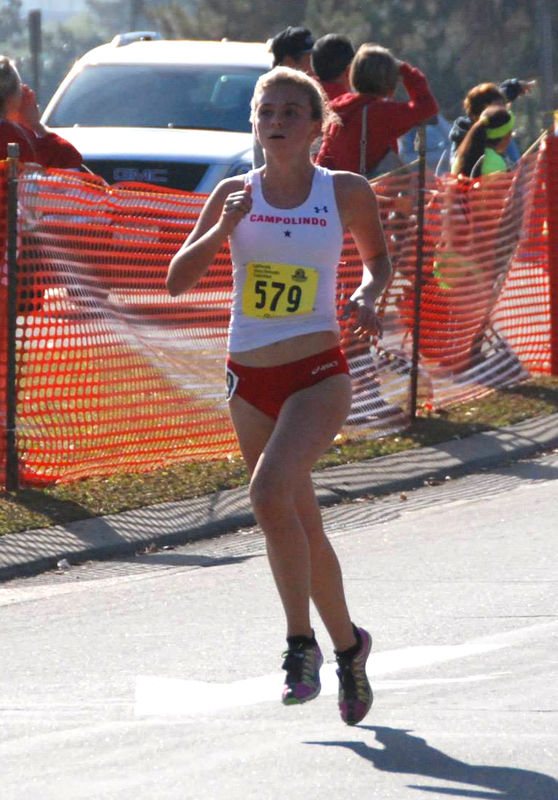 Sac Relays and that was the race where Sarah Baxter ran 16:00. I was doing pretty well during the season finishing 6th almost every race but then I had a stress reaction in my foot which caused me to miss being on the line from prelims all the way to State and Nationals. I was devastated because I really wanted to run and be a state champion and get that state ring but it made me work really hard in track. In track I was able to make it all the way to State in the 3200 but didn't have my best race because I was tripped in the middle of the race but I finished the season with a 1600 PR of 4:54 and 3200 PR of 10:30. With those times I was able to get the freshman records at Great Oak and the school record in the 3200! 3) You had quite an eventful state track meet last year as a sophomore. Can you tell us a bit about your 1600 race as well as your 3200? Last year as a sophomore I decided to double all the way through State running the 1600 and 3200. My freshman year I dropped the 1600 after CIF Finals which allowed a fellow teammate of mine to make it in the 1600, but my sophomore year I felt like I was strong enough to double all the way through and run great times in both events at state. The 1600 was the event I focused on the most because I felt I had the best chance of winning that event. My coach and I mapped out the game plan for the 1600 and I thought for sure I had a really good chance of winning it. The move was to not lead until the final 200m but I went down and was tripped before I could make my move. I went down with 210 or so meters to go and when I went down, Anna Maxwell went down as well. I stayed on the ground for a good 4-5 seconds in complete shock that this was happening again but once I got up I used all that was left in me and ran to the finish line. I salvaged a second place finish by a hair and it was a great learning experience when running close to other competitors. I ended the year with a PR of 4:45. Now for the 3200 I was already heartbroken from the 1600 because I thought that was the race I was going to win so going into this race I had little to no motivation. I essentially went through the motions and came out with a 4th place finish (10:20) at state which was a few seconds off my PR of 10:14 run the week before at Masters. So to wrap up my sophomore year, I had second and fourth place honors which was a huge accomplishment considering how hard it is to double all the way through CIF. 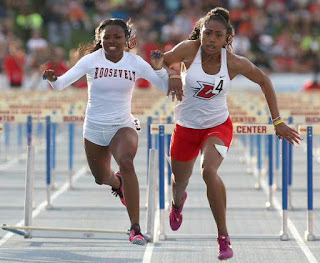 4) When do you feel you made the biggest jump during your high school career as a runner? What do you think led to that improvement? I feel I made the biggest jump this past cross country season. I went from being a girl in the mix of races but near the front to a girl who could win races. I think what led to that improvement was my summer training because I didn't slack at all and also I gained more confidence. This year I went into races knowing I could win if I set my mind to it and raced well while years prior I just raced hoping for finishes near the top but never truly for the win. 5) Looking back at your just completed cross country season, what do you feel were your best races and proudest achievements for you and your team? I think I could speak for my teammates and myself on this one being our proudest achievement this cross country season was at Nike Cross Nationals where we finished 2nd! We have been ranked Top 2 in the country for a few years now but we never raced well at nationals. I don't think we were ever really prepped for the course and for the weather but things changed this year. The course moved from the horse track to a golf course which is way more similar to the courses we run and it wasn't freezing cold outside like the year prior where it was under 14 degrees when we raced. I think with those 2 conditions plus less mud, and stronger faster girls, led to us finishing 2nd which we were all so happy about. Of course the win would of been nice, but FM ran a way better race than us that day so we couldn't hold our heads down for the 2nd place performance. Placing 2nd at nationals was huge for me but I didn't quite race like myself. I had tendinitis in my foot and after Clovis I wasn't as strong as I was in the beginning of the year. With that being said, speaking as an individual my proudest moment would have to be a tie between breaking 16 minutes at The Seaside Invitational running 15:58 for 3 miles and breaking 17 minutes on the Woodward Park 5K course with a time of 16:57. Both of those races I led wire to wire and went for the wins and came out with the wins. After those races my confidence really grew because I realized I could run with the best girls in the country with these type of performances so those were my favorite two races and moments from this past cross country season. 6) What does a typical week look like for you during each season in terms of training? How many workouts? Length of long run? Any morning runs? Weightlifting? Here's a typical track week for training. My cross country training week would be very similar but different speed workouts. We do core routines everyday before our workout sometimes after which focus on different things like balance, etc to keep us strong and healthy throughout the season. 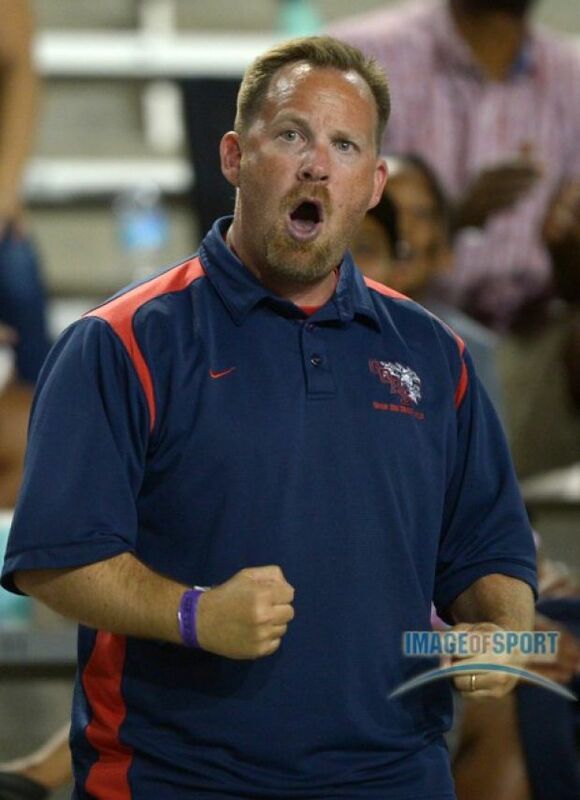 7) Who is your coach as well as assistants at Great Oak HS? What have you learned from each coach and how did each coach help you get to your current level? Who else has been integral and a big part of your success? My Head Coach is Doug Soles an our Assistant Head Coach is Daniel Noble. We also have other assistants being Coach Fowlie and Espinoza. From Coach Soles and Noble, I have learned many things but one thing that sticks out to me is to be tough. They always push me to be the best person and athlete I want to be because I set the goals that I want to achieve and they do everything in their ability to help me reach those goals. They make sure I'm receiving the right workouts and doing the right strength routines to be able to run the times and stay as healthy and fit at all times during the season. I don't work much with Coach Fowlie and Espinoza because they work with the JV and Freshman athletes but they are the coaches I talk to when I need someone to talk to even if it's not directly running related like diet. Since they are both females, they are in a sense the motherly figure coaches that you need every once in a while to love you up. My parents and most importantly my teammates have also contributed a lot to my success. My parents are always there to help me and talk strategy. I may not always listen but I know they only want the best for me and they are always trying to help to me become the best athlete I can be. My teammates contribute SO much to my success also because they are the ones I train with day in and day out. They are the ones to push me on a bad day, uplift me after a bad race, make me laugh during warm up, they make the runs go by quicker on days where we have a 12 mile long run and it seems to never end but I can say I do the same for them as well because our team is a family and that is so crucial to having success. We all run for each other and we are all good friends which in my opinion makes us unstoppable. So again my teammates contribute a lot as well to my success. They make the long days and hard workouts not so long and tough because they make everything so fun and we laugh ALL the time and I'm so thankful to have such amazing girls to train with everyday. 8) Favorite XC course? Favorite XC invitational? Favorite XC workout? Favorite long run? Favorite Track and Field event? Favorite Track invitational? Favorite Track workout? Favorite opponent(s)?My favorite XC course would have to be Woodward Park. It's the state course and we have run some really good races there which makes it a good course to always come back to. It's a real cross country course that has some uphill and downhill and it's just the ideal course when you think of a cross country race in my opinion. My favorite XC invitational would have to be the Woodbridge Classic because the whole meet is essentially run under the lights. Everyone runs PRs, the girls all wear their hair in 2 braids as a tradition and it just has a great vibe while you're at the meet. Everyone is excited to be there and it's one of our first fast 3 miles of the year so everyone gets pumped up for it. 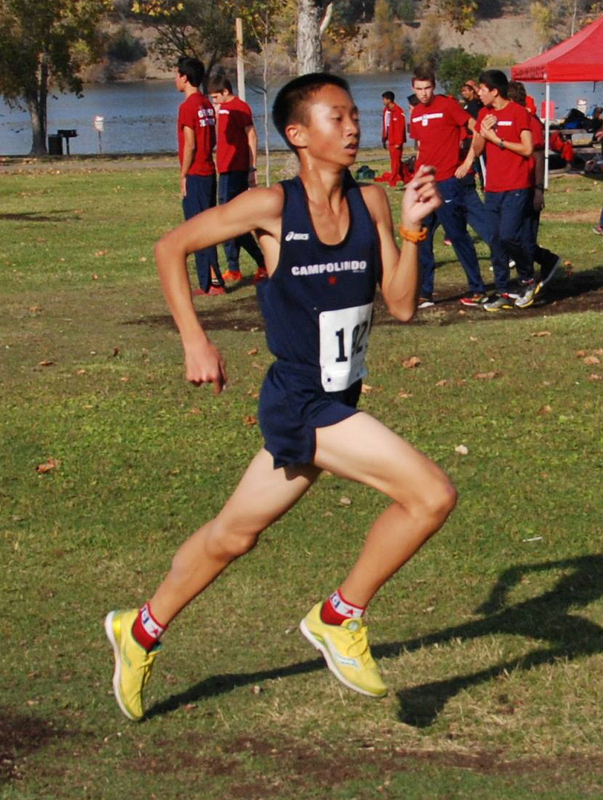 Many people medal and it's just a meet we all love on the Great Oak Cross Country Team. My favorite XC workout would have to be blend intervals or 1000m repeats. I like blends because you're constantly going different paces for different lengths of time and it's just like a race. The race will go out fast and then slow and then random parts of the race will speed up and then slow down and it's just a great and fun workout to do. I also like 1K repeats because it's just breaking down the state race which is a 5k into little pieces. We run them on this dirt trail out and back and I run that workout well making it one of thee reasons why I like that workout. My favorite long runs are the Saturday long runs when we run at a nearby park in Temecula. There are different loops you can do and they are for the most part on dirt which is very nice. By our school there isn't a lot of soft services so it's nice on long runs to be able to do almost all if not all of it on the dirt. My favorite track and field event would have to be the 1600, but if we can count special races I really like running the 4x1600 and DMR! I love running the 1600 because it requires more speed than a 3200 but less than an 800. It's the perfect median and I run it so often that it has just become a favorite of mine. I also really like the 4x1600 and DMR because it brings the team aspect out of cross country into track. You are running the best race possible to put your teammates in a good spot to hopefully end up with the win and it's fun racing. You also have the chance to cheer for your teammates throughout the race which is nice. The DMR allows the track team to really unite because it takes 2 good distance runner, 1 good middle distance runner, and a good sprinter to win it. It's nice putting all those girls together on one team especially when it ends in being successful like when we won at Arcadia and at the Mt. Sac Invitational. My favorite track invitational is the Arcadia Invitational because it's the biggest invite of the year. All the best athletes come and we get to run in some really fun relays as mentioned before as well as some fast individual races too. Everyone gets a neat backpack that you see ALL the track athletes wearing at school and they have nice medals too. Our 4x1600 team has won the past 2 years and we won this year in the DMR which meant not only an awesome medal, but a baton and Arcadia Invite shirt which was really cool! My favorite track workout is 400m repeats. It's the perfect workout because you practice your race one lap at a time finding that 1600 or 3200m race pace depending on what the focus is given to us by Coach Soles. It's really easy to dial in on the pace during 400s and just find your goal race pace and just attack the workout. My favorite opponent would have to be Fiona O'Keeffe because I believe we bring out the best in each other. We always race each other hard and the outcome always changes. Sometimes she wins and sometimes I win so it's a nice rivalry that we have because you never know who the better athlete is that day until the race is over. 9) What was your plan leading up to the 1600 at the state meet? How did the race unfold for you? What did you do between events that gave you strength for the 3200? Did you have any lasting effects from the 1600 as you ran the 3200? When did you decide to make your move in the 3200? What was your reaction to winning and seeing your final time? The plan for the 1600 was the same as always. Lead from the gun, go out hard, and try to PR. My goal was to run sub 4:40 but I just wasn't quite feeling it in that race. I didn't hit the right splits and when the bell lap came I didn't have a lead and Amanda and Marissa were right behind me with one lap to go. I led until the last 75m where they passed me finishing 1st and 2nd in 4:39 while I finished 3rd in 4:41. I really wanted the win and I was the favorite coming in but that didn't mean anything because everyone was going to race hard regardless of who coming into the race was the favorite. After the race I was frustrated with my performance and I was sad because I was so close to winning my first state title but I let that drive and fuel me during the 3200. I didn't want to leave Fresno with out one state title so I made it my objective in the 3200 to not let the leader get away from me and to give it all I got. After the 1600 I cooled down, laid out under my tent, and fueled up for my next race with a little snack and hydrating. Going into the 1600 I was very motivated and I never let Fiona get a foot step away from me. I was tired because these were my 3rd and 4th miles of the weekend while she came in fresh having run no races or miles before but I didn't let that affect me. I went out with her and stayed with her through 7 laps constantly telling myself I could do this while focusing on her shoes making sure I don't hit her feet. I started to feel really good going into the 7th lap but I wasn't ready to make my move because I didn't know if I could hold her off for the win at that point so I waited for the last lap. The last lap came and we had been running 10 flat pace the whole race. We came through the mile in 4:57 and with one lap to go the clock read 8:46. As soon as the bell lap rang she took off and I followed. That curve I took off a little harder to catch up and run along side of her for which lasted for about 50m or so and then a huge rush of adrenaline came over me and my feet and before I knew it I was accelerating. I didn't consciously make the move to start kicking but I really really really wanted this state title and my legs and heart went for it before my brain could even process what was happening. I started to speed up even more and she matched/ covered my move for the first 6 steps or so but then the lead started opening up more and more after that. I could picture my Dad saying "Pump those arms" and "Start sprinting Destiny, you need to change from a runner to a sprinter to win the races" and with that being said I continued to take off and I closed my last lap in a 66 with a 32 second last 200. When I crossed the finish line all I had was a sigh of relief. I finally did it. 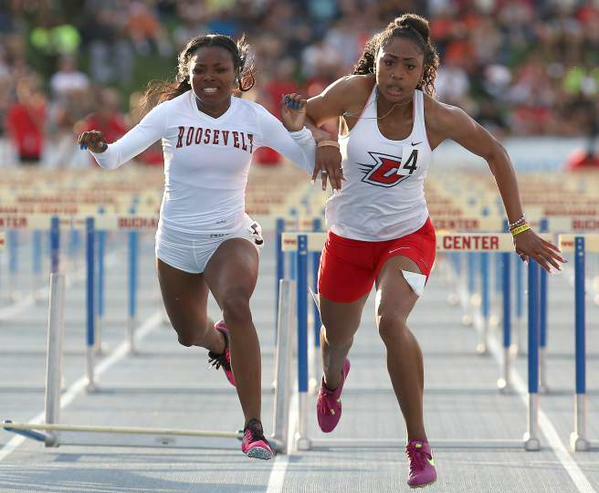 I just won my first state title but when I crossed the line I couldn't believe the time. I'm still shocked to this day about the time I ran. When I was running down the home stretch the crowd was going crazy. They were cheering so loud and I heard the announcer say 9:45 when I was already half way done with the final 100m. I couldn't believe it and when I finished I threw my hands up in excitement and looked at the big screen completely shocked I had broken 10 minutes by such a huge margin. The whole year I was striving for 9:58 but 9:53 was a gift because I had no idea I could run that fast especially after running the 1600 earlier that day some 2 hours before. All I can say was that was an unforgettable moment and experience that I will cherish for a while. 10) What other races will you be participating in during the summer? My summer this year consists of quite a bit of racing. I'm racing at the Adidas Dream Mile/100 in New York. Then the following week I will race at Brooks PR Invitational in Seattle in the 2 mile, and then lastly I will race in Illinois for World Youth Trials. I don't know which event I'm running yet but I hope to qualify for the championship team and be given the chance to run in Cali, Colombia against some of the best 16 and 17 year olds in the country. 11) You have accomplished much during your first three years in high school. What are you most looking forward to as you peek ahead to your season seasons? 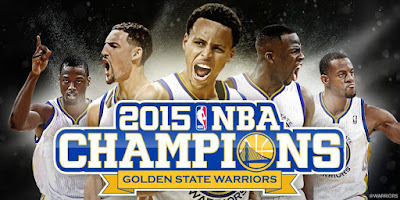 July 11, 2015 at SRVHS. Speakers = Doug Soles of Great Oak HS (left courtesy of Kirby Lee and ca.milesplit.com) and Tony Fong St. Joseph Notre Dame, Alameda (right). Send RSVP to Tim Hunter at thunter@srvhs.org by July 1 to get your shoes. Bring payment on day of clinic. 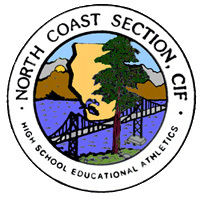 It's never too early to peek ahead at the upcoming 2015 Cross Country season so per tradition, we begin with the NCS Division III individual rankings thanks to Campolindo assistant coach, Andy Lindquist. Feel free to leave your comments below and let us know if we missed anybody. Boy’s individuals: With the Burke twins graduating, it will be up to Nick Downs to continue the recent hot streak of superstar frontrunners for Bishop O’dowd. Last year’s runner up, David Frisbie will also be in contention along with a cluster of athletes from the DFAL. 1. Nick Downs – Bishop O’Dowd (Sr) Continued to impress this track season, running 9:18 in the 3200, giving him the best returning mark for this XC season. Also showed good range running 4:19 for 1600m. 2. David Frisbie – John F. Kennedy (Sr) After a surprising end to the cross country season which saw him finish 7th at the state meet, Frisbie seemed to stagnate during track, failing to make the finals at MOC in the 1600m. Still posted quality marks of 4:21/9:38 in the 1600/3200 so don’t count him out just yet. 3. Cameron Gaskell – Acalanes (Sr.) Despite battling illness and injury throughout the season, Gaskell still managed to post some solid times, running 4:25 in the 1600 and running 9:28 in the 3200. Past results indicate the talent is there and with a healthy summer of training he will put himself in great position to challenge the top 2. 4. Jared Yabu – Campolindo (Jr) After being a solid contributing team member the past 2 years, it appears that Yabu is ready to step up as the top gun for the Cougars this fall. His marks of 4:29 and 9:29 in the 1600/3200 point to great potential, especially considering the success Campolindo has had churning out top notch individuals in recent years. 5. Tom Robey – Las Lomas (Sr) Continued to be rock solid during the track season, running personal bests in the 3200 (9:30) and running 4:25in the 1600 to advance to MOC in that event. Getting to run against the rest of the rugged DFAL will provide him plenty of chances to compete against top level talent. 6. 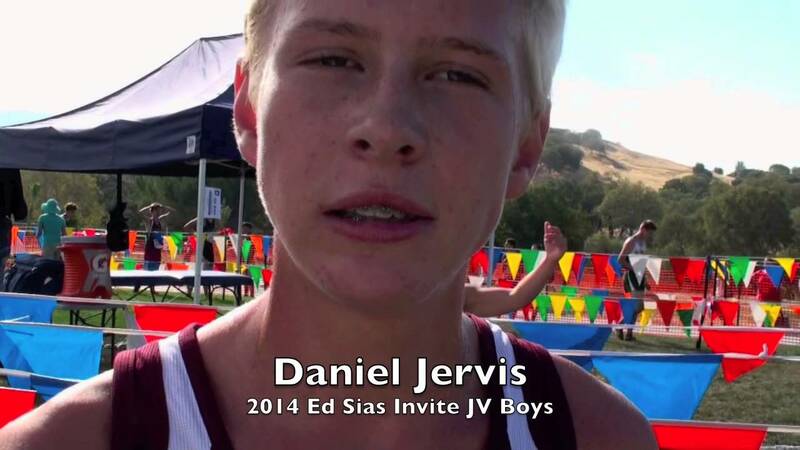 Danny Jervis – Las Lomas (Sr) After a breakout XC season, Jervis continued that trend during track running 9:42 in the 3200 and 4:25 in the 1600. DFAL competition plus a talented training partner in Robey should help Jervis continue his upward momentum this fall. 7. Nathaniel Sauerberg – Campolindo (Sr) A somewhat confounding cross country season gave way to an impressive track season for one of the critical pieces of the Campolindo machine. A solid time in the 1600 (4:31) plus a great performance in the 3200 (9:41) positions Sauerberg right next to his DFAL foes and the rest of the NCS, giving the Cougars a strong 1-2 punch that will be vital in the team battle as well. 8. Munir Kabbara – San Rafael (Soph) Impressed during his freshman campaign and seems poised to take over the mantle from his older brother Nassim. His 4:32 and 9:51 performances in the 1600/3200 point to great fitness and great potential for the youngster, making him a dark horse to move up the list. 9. Will/Jack Dunbar – Petaluma (Soph) The twins kicked it into high gear this track season running near identical times in the 1600 (4:33/4:34) showcasing a nasty double threat for the Trojans, who are seeking to make an impact in the team race. While track times do not always correlate with XC performance, look for the Dunbars to continue their wicked improvement curve this fall. Girl’s individuals: Last year’s NCS/State champion Chloe Hansel returns for her senior year, looking to defend her titles. However, after a somewhat disappointing track season, the gap has been closed considerably as Bishop O’Dowd’s Grace Taylor enters the season with the best marks in the 1600 and 3200, beating Hansel head to head in the 1600m final at NCS MOC. Transfers and freshmen will shake up these rankings but for now this is how it looks. 1. Chloe Hansel – Las Lomas (Sr) After a phenomenal cross country season where she captured the NCS/State Div. III tiles and also qualified to NXN, Hansel seemed to regress this track season only managing to run 11:11 in the 3200 and 5:05 in the 1600. Despite this, she enters the season as the favorite if she can return to her form from last fall. 2. Grace Taylor – Bishop O’Dowd (Sr) Came on strong at the end of track season to run an impressive 5:03 in the 1600 at the NCS MOC finals to enter the fall season on a big upswing. Also ran 10:54 in the 3200 which gives her the best 1600/3200 times from this track season. She should challenge for the individual title. 3. Hana Sun – Campolindo (Sr) Sun flew under the radar during most of the track season as her teammates stole the headlines for Campolindo, but she still managed to have an impressive spring season, making it to the finals at MOC in the 3200 and running 10:59. 4. Hannah Ruane – Campolindo (Soph) Another solid contributor to Campolindo’s impressive distance squad, her marks of 5:17 and 11:13 for 1600/3200 bode well for this upcoming season. 5. Jourdan Amen – Bishop O’Dowd (Jr) One of the most consistent performers for the Dragons during the fall, Amen continued that trend during the spring running 5:17 in the 1600 and 11:23 in the 3200 to make MOC finals. Her 5th place finish at last year’s NCS XC meet indicates plenty of upside and should give O’Dowd the upfront presence to challenge for the team title. 7. Marissa D’Atri – Alhambra (Soph) Solid performances during the recently completed track season including a 5:12 clocking in the 1600m, place her in contention to advance to state as an individual this upcoming season. Plenty of opportunities to race against talented runners in the DFAL will no doubt help D’Atri to continue to progress this fall. 8. Jenna Miles – Campolindo (Soph) Raced sparingly during the 2014 XC season but impressed with a 7th place finish at the NCS finals. While hampered by some injuries during the track season, Miles still showed impressive upside in running 5:23 and 11:29 in the 1600m/3200m. 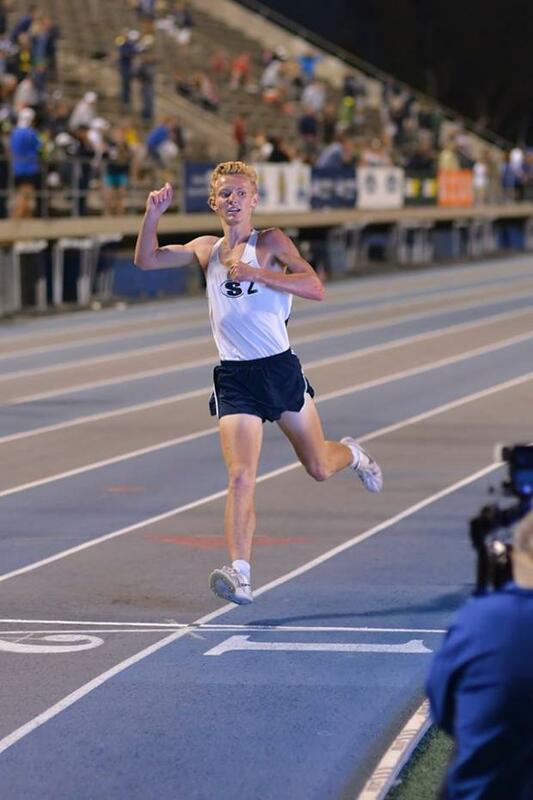 Brian won the always ultra-competitive Southern Section Masters 3200 race last Friday in 8:49.38 which is one of the fastest 3200 meter times ever. The fastest all-time marks are posted at this LINK although some of this year's marks may be missing. You can find the interview with Brian at this LINK.